The Craft Brewers Association conference is coming up next month in Washington, DC on April 10-13, 2017. It is the only industry event that serves both brewpubs and packaging breweries. For professional brewers, CBC is the number one environment in North America for concentrated, affordable brewing education and idea sharing to improve brewery quality and performance. The conference is also a great social event with 14,000+ brewing industry professionals enjoying craft brews together. BrewExpo America® allows exhibitors and buyers to develop profitable business relationships and helps brewing and brewery restaurant professionals encounter the latest and best products and services that industry vendors have to offer. As a national member of the Craft Brewers Association, Pratt Industries is committed to the success of the craft brewing industry. We supply everything from one color trays to six color twelve packs and cases, but what we really provide are sustainable packaging and display solutions that help our customers promote their image and sell more product. 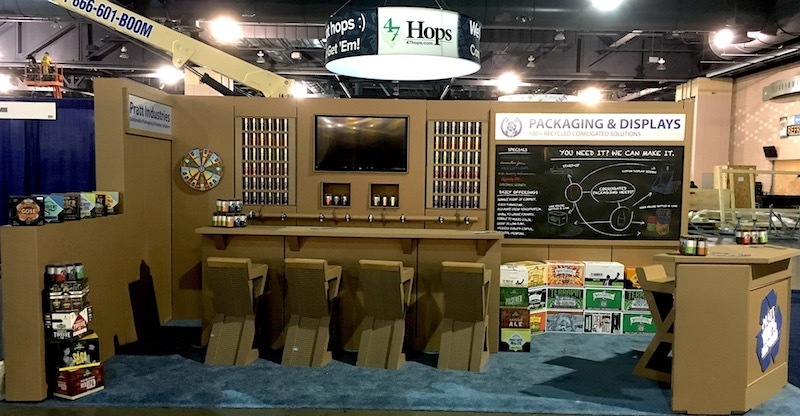 If you’re planning to attend the 2017 Craft Brewers Association Conference, come see us in booth 6216!